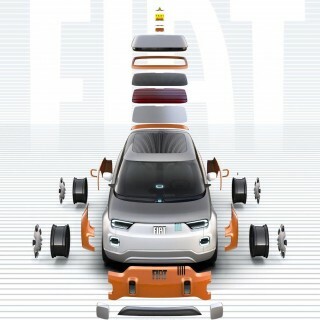 Electric cars aren’t always boring, and they’re not all new, either. 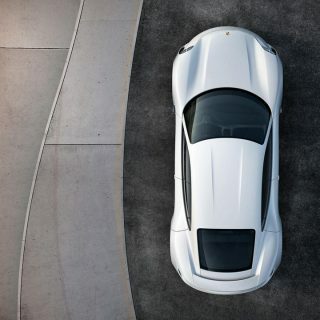 We’ve selected five of our favorites from years gone by, including an electric that was once the fastest car in the world and another that was conceived, designed, and built by a beloved Italian carrozzeria. That’s what inventor, racer, and pilot of La Jamais Contente (The Never Satisfied) said of the experience driving his creation to speeds in excess of 100 km/h (62 mph)—the first man-made machine to do so. 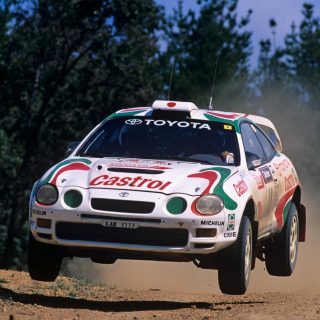 The same length as a modern Toyota Yaris, it weighed an incredible 1,450 kg (3,200 lbs), and output from the two electric traction motors was 50 kW (~67 horsepower). It was quite advanced for its day, too. Working with noted coachbuilder Rothschild, it constructed a bullet-shaped pod that covered the batteries, Jenatzy’s lower torso…and little else. 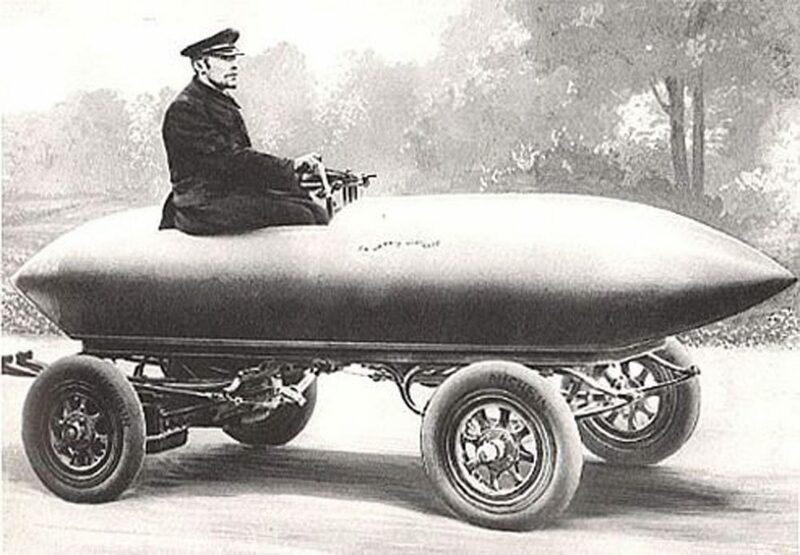 Skinned in partinium, a light alloy of aluminum, tungsten, and magnesium, it’s considered to be the first streamlined vehicle. Michelin supplied the tires—distinctly low profile and modern-looking compared to the carriage-like wheels vehicles used at that time. 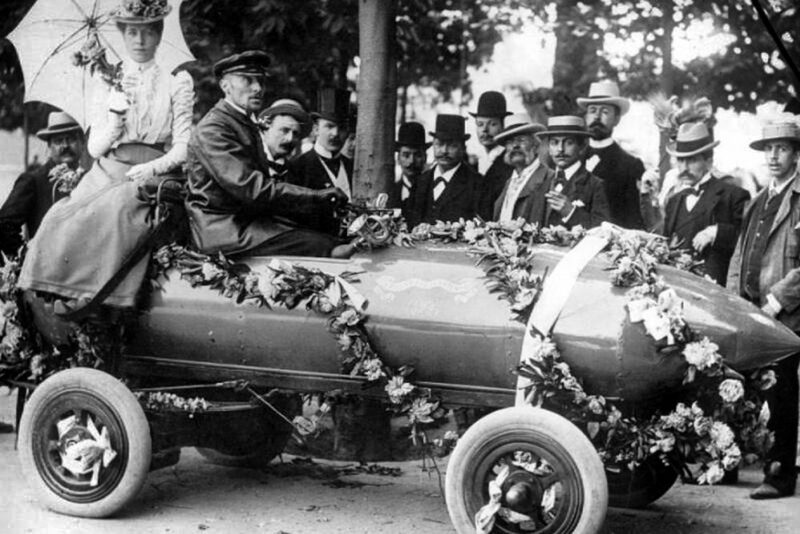 Set during a speed duel with rival manufacturer Jeantaud, as records were done in the day, his record stood at 105.882 km/h (65.792 mph), the last electric car to hold the title of “World’s Fastest Car”. Upon its first showing in 1972, enthusiasts were just as confused as you probably are now. 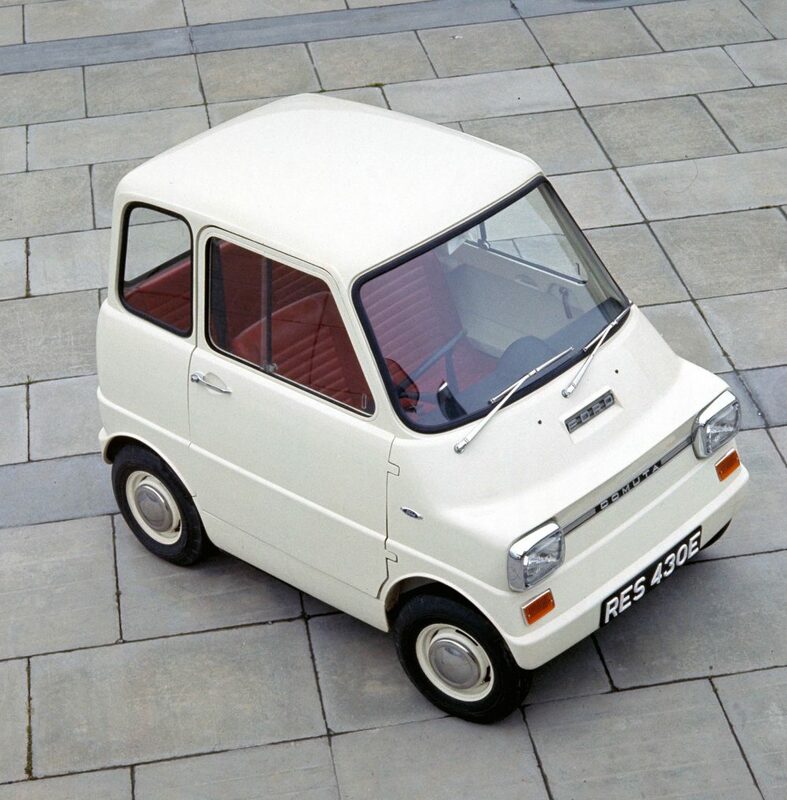 However improbable you may think the Zagato Zele is, consider that it was shown as the fuel shortage alarm bells were ringing—and entered production in 1974, just as the world was locked in a fuel crisis. 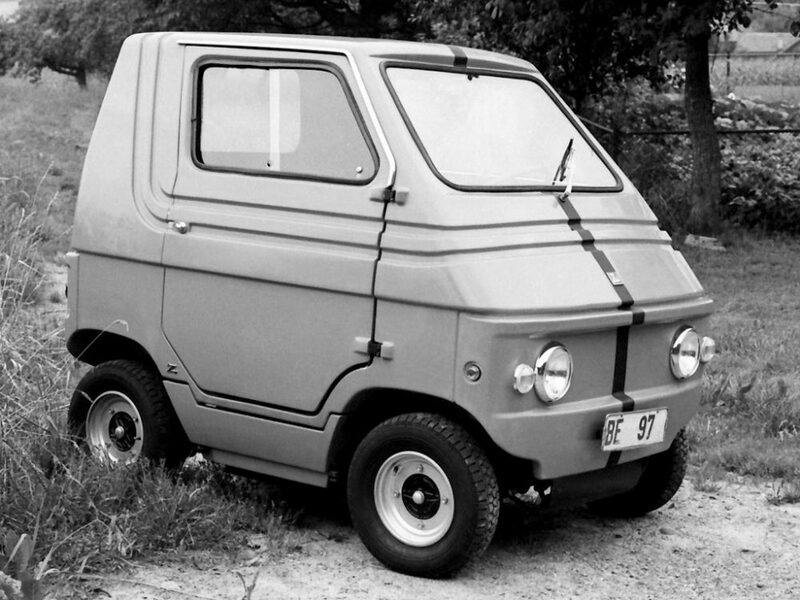 Just as well, then, the rear-drive Zele accelerates on a scale reserved for geopolitics—its top speed of (at most) 50 mph (80 km/h) was reached quite slowly, even though the enthusiast-minded Italians had included four forward speeds and a two-step accelerator pedal in a bid to help acceleration. Range? About 80 km (50 miles). 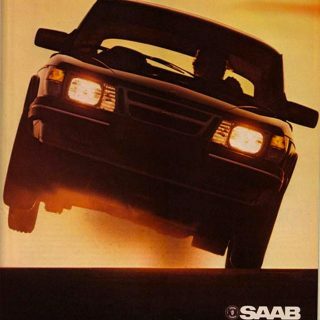 Sold in three trims, 1000, 1500, and 2000, the Zele was—you guessed it—all electric and the top-trim Zele 2000 could have up to eight car batteries packed under the passenger compartment. Zagato was nice enough to include a boost switch that’d apparently weaken the motor’s magnetic fields in the field coils to produce less torque but a greater top speed. A little too Star Trek, perhaps? Since you’re now completely sold on the Zele, let me say it was imported and sold in the U.S. as the Elcar—and hey, it’s a Zagato! Consumer Reports tested the Elcar when it was new, saying, “The Elcar has yet another mark against it: Its suspension is too flimsy to cope with even the low level of performance of which the vehicle is capable. During hard braking tests from 30 mph, the front suspension collapsed, putting an empathetic end to our texting of the Elcar”. That said, it’s the only electric car here to have been sold to the public. 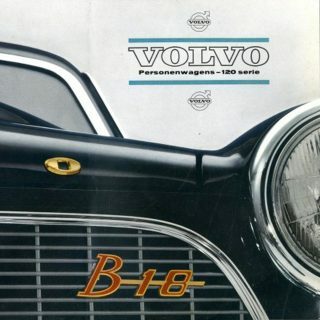 To say EV development was in its infancy in the 1960s would be both true and false. We’re well aware that electric cars were in fact more numerous than gasoline vehicles at the turn of the 20th century—so it’s not like electric cars were a new thing in 1966. New developments included better batteries, control units, and electric motors, components that were very much in their infancy at that time. 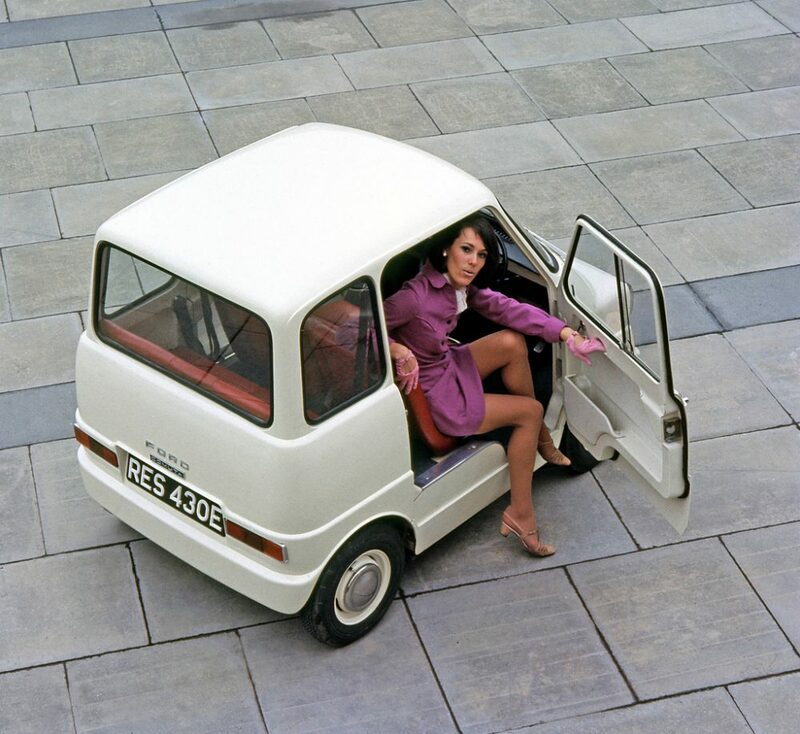 For example, the Electovair II didn’t even have regenerative brakes, a now-standard feature for EVs. 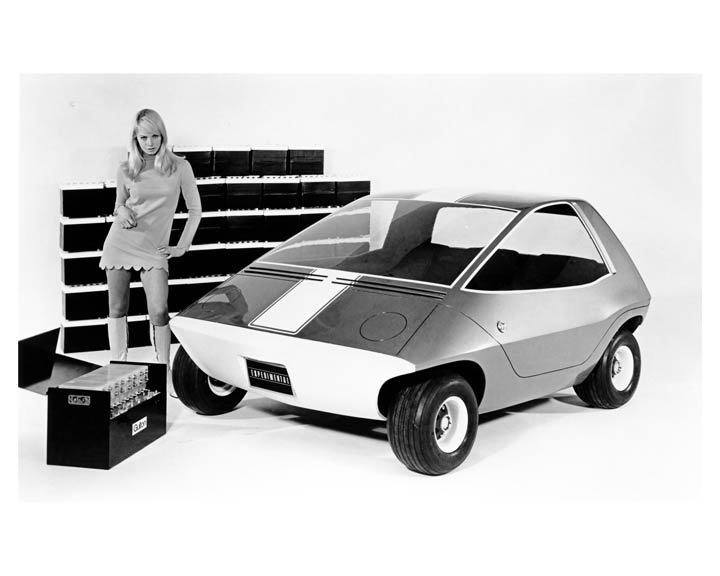 The first Electrovair, in 1964, was an interesting vehicle but not as impressive performance-wise as the second, built just two years after. If you’re on the fence about Chevrolet’s Volt or Bolt names, knowing they passed up “Electrovair” as a potential name should make you furious. Even in a modern sense, the car gave good performance, with its top speed and all-electric performance matching up pretty well with even the Volt production car. Yes, the Electrovair II lacks Bluetooth, iPod jack, and the luggage space was filled with batteries, but the numbers it put up in testing were pretty good. From a 115 horsepower AC electric motor and 532 volts of silver-zinc batteries, the car could hit 80 mph, and its range was between 40-80 miles on a six hour charge. 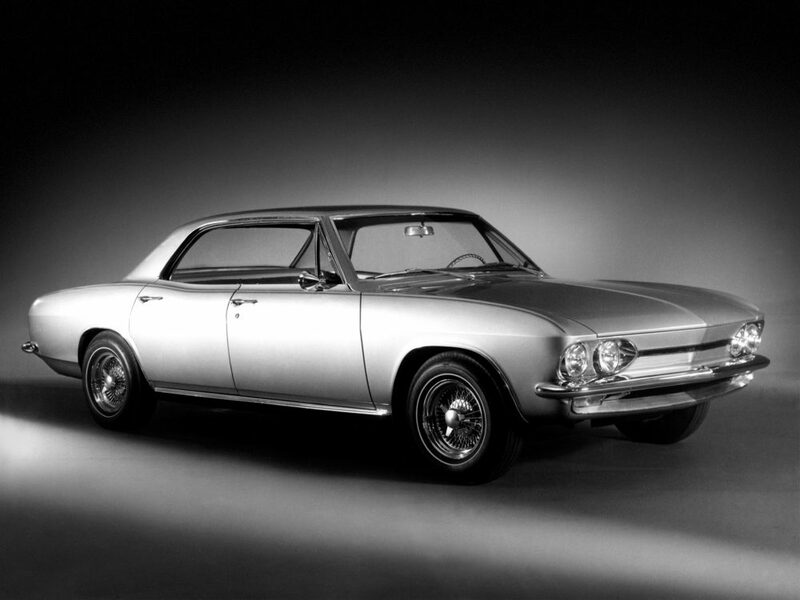 At a “svelte” 1,000 lbs heavier than the gasoline Corvair, acceleration was about as brisk as a modern smart fortwo at 16 seconds from zero-to-62 mph. Problem? After just 100 recharges, the batteries needed to be replaced. With an array of zinc and other chemicals sloshing around in the nose of the car I’m inclined to agree that modern energy storage is much improved. Amazingly, the car survives to this day! 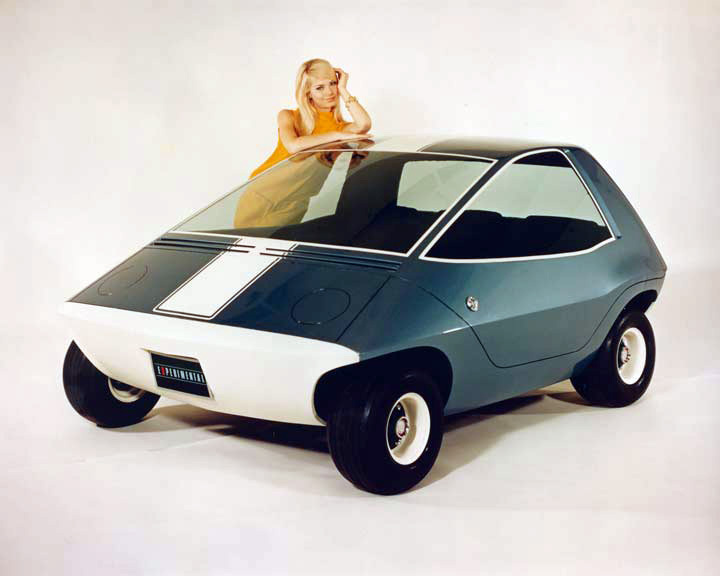 The AMC Amitron is a car guy’s electric car. Small, wide, light, and with the wheels pushed to the corners, the Amitron has the proportions of a classic Mini Cooper…if it was made of brie and squished into a wedge. 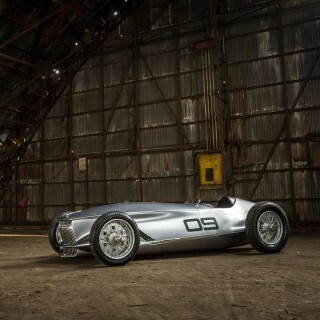 It weighed just 1102 lbs., which is 220 lbs lighter than an Ariel Atom track car. It was shorter than a modern smart fortwo and wide enough for three-wide seating, a trick that makes it quite practical. Even better? Its inflatable passenger seats were designed to save space when not in use. 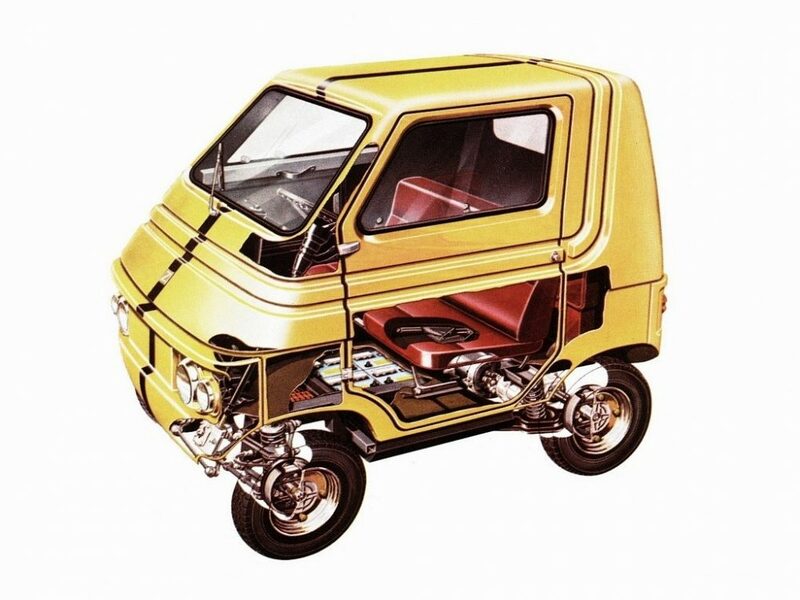 The Amitron, shown in 1967 and the Electron, repainted red and shown again in 1977, showed other innovative concepts: two stage battery storage and regenerative braking, both firsts. Its combination of two nickel-cadmium batteries (city motoring) and two lithium batteries (used as a boost for highway driving) gave the car great range quoted as 150 miles with an average speed of 50 mph. Ford says it designed the Comuta to hold two adults and two children (and not much else!) in 1/2 the space of a Cortina. 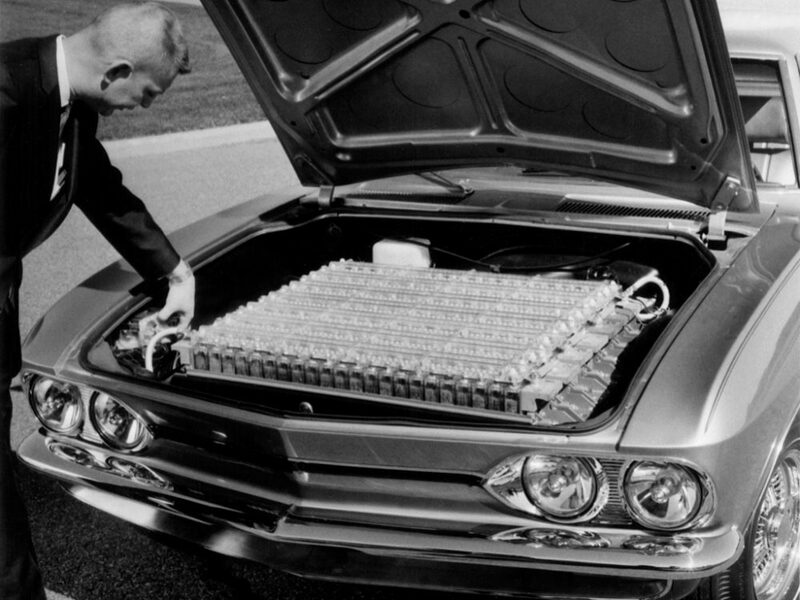 To do this, it started with packaging an array of lead-acid batteries under the floor, like so many electric cars that followed. This gives the most interior space, best handling, and allows for external dimensions to be quite tidy—heck, the Comuta’s hood is shorter than a Subway foot-long. Ford’s idea with the Comuta was to design a compact and city-friendly runabout that could be used for short shopping trips to city centres around Europe, where space is much more of a concern than it is in the U.S. Ford in the U.S. supported its UK operations with the design and construction of six (!) Comuta prototypes. Powered by four 12-volt, 85-amp lead-acid batteries, it could hit 37 mph…with a city driving range of just 37 miles. Even today, its specs would be O.K. for many inner city dwellers—with trips on the highway verboten. Most companies, including BMW, have either significantly reduced or abandon altogether the use of hydrogen in ICE applications. If you see the output figures for similar displacements, you’ll see why. Hydrogen is actually much more promising in a fuel cell/electric motor application. Hydrogen has the same problems that electric does though, mainly infrastructure. Also, hydrogen can’t be mined or grown. It still has to be produced like electricity.